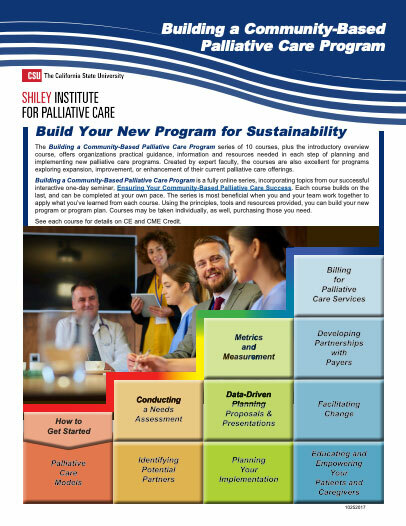 This is the sixth course in the 11-part series of Building a Community-Based Palliative Care Program. You can take this single course or the entire series. Creating Data-driven Proposals and Presentations for Your Palliative Care Program will help you maximize the effectiveness of proposals and presentations that address creating, sustaining, expanding or improving palliative care programs. The course is built around two core concepts – first, “thinking backwards from the story you want to tell,” and second, maximizing your opportunity to prepare a convincing proposal by incorporating data-driven insights about the current and future states of healthcare in your institution or setting. The goal of Creating Data-driven Proposals and Presentations for Your Palliative Care Program is to help you present information about what is happening now, and how that might change if a palliative care program is launched, or expanded, or improved. The course was written by palliative care experts Kathleen Kerr, BA, and Brian Cassel, Ph.D. These experts have published dozens of research articles on palliative care offered in all care settings. Kerr and Cassel will walk you through the topics that are included in most proposals, and have included many case study examples that are rich in program data, adding their insights. The Doctors Company designates this activity for a maximum of 3 AMA PRA Category 1 Credits™. Physicians should claim only the credit commensurate with the extent of their participation in the activity. 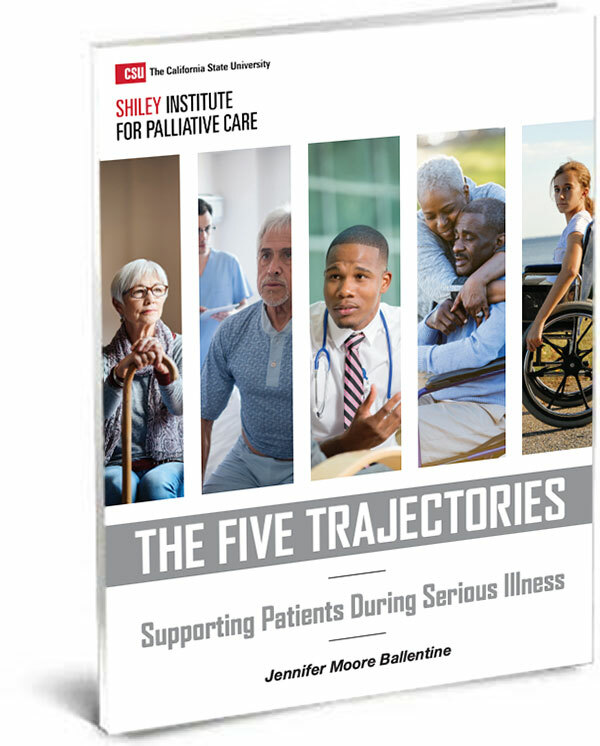 Creating Data-driven Proposals and Presentations for Your Palliative Care Program provides essential guidance to help you present information to make the case for community-based palliative care focusing on what is happening now, and how that might change. Kathleen Kerr, BA is a health care consultant in private practice in Mill Valley, California. Her work is focused on developing sustainable models for community-based palliative care, with particular emphasis on evaluating the business case for such services. Ms. Kerr has supported several statewide initiatives focused on promoting the development of quality community-based palliative care programs in California. Brian Cassel, PhD is an Assistant Professor in the division of Hematology/Oncology and Palliative Care, and Director of Analytic Services at Massey Cancer Center, at Virginia Commonwealth University in Richmond, VA. His research interests include cancer informatics, and health services research on specialist palliative care services in the US and the UK, specifically the costs and financing of cancer care and palliative care. As a faculty member of VCU’s Palliative Care Leadership Center he has helped to train more than 140 palliative care teams from all over the US. He is a scientific member of the VCU Massey Cancer Center, where he helped to develop and currently oversees the Massey Data Analysis System. He serves as Co-Director of the Metrics Team for the Palliative Care Action Community, a one-year effort sponsored by the California Health Care Foundation aimed at promoting the development, sustainability and growth of community-based PC services across California.